Mr. William J. Merrigan, Esq. Member Board of Directors and Managing Director. Mr. Merrigan was an overseas officer and legal counsel of several aviation companies including the international flag air carrier of the Republic of China (CAT), Southern Air Transport, Air Asia and the CIA’s Air America. As a result, he’s had direct experience on issues a contractor or government agency encounters in domestic and international transportation including employee personnel, labor negotiations with unions in the U.S. and foreign countries, compliance with domestic and international laws that governs transportation, represents the commercial companies, and the government in legal proceedings before regulatory bodies. 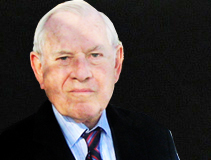 As a Department of Defense (DoD) employee, Mr. Merrigan was the legal adviser for the DoD household goods transportation program, authored the original government rental car program agreement, legal adviser for the US Air Force (USAF) procurement of aviation services from the airline industry, DoD Legal Counsel before the Civil Aeronautics Board and the Interstate Commerce Commission, and a principal DoD legislative counsel on transportation deregulation which included appearances before Congressional Committees. Additionally, he also supervised DoD attorneys contracting for ocean-carrier and domestic trucking services. Mr. Merrigan is a Graduate of Georgetown University Law School. Contact Mr. William J. Merrigan, Esq.